You will save thousands of dollars by purchasing a used but still slick and shiny car. In fact, you'll spend around $15,000 less by choosing the average used car instead of the average new car. Why is this? New cars depreciate, and fast. They are the fastest depreciating assets out there in fact! Sign the paperwork for a brand-new car, drive it off the lot, take a ride around town, and then return the car to the dealership. It isn’t a new car anymore. It is a used car. And because it is a used car, it is worth substantially less than you paid for it just an hour prior. Maybe around 10-20% less depending on the car. After three years, your new car will be worth just 54 percent of what you paid for it, on average. That's brutal. Beyond the issue of depreciation, you’ll pay less sales tax on a used car, insurance for a used car costs less, and in many states it is cheaper to register a used car than it is a new car. The thing to remember is that these savings will ultimately be spent on a used car’s higher maintenance requirements. You might also be able to save more money and saving on fuel by being able to afford a vehicle with better gas mileage. Cars like this old Ford LTD used to rust away within a decade back in the 1970s. Remember the 1970s, when cars like this old Ford LTD rusted apart within a decade? Today’s cars, trucks, SUVs and vans simply last longer. Now the average car driving on American roads had reached a record high of 12 years of age. The auto industry think tank also predicts that by 2020, the number of 12-year-old vehicles still in operation will rise by 15 percent. Clearly modern vehicles are built to last longer than ever, which means you can save thousands and expect a long service life from a used car. While a vehicle history report cannot identify every possible cause for concern associated with a particular used car, easy access to them certainly adds significant peace of mind. While a vehicle history report cannot identify every possible cause for concern associated with a particular used car, easy access to them certainly adds significant peace of mind. Carfax and AutoCheck are the two biggest providers of vehicle history reports, and it is absolutely essential to obtain one when buying a used car. Using the vehicle’s VIN, either company can obtain a substantial amount of valuable information on a used vehicle. While a vehicle history report cannot identify every possible cause for concern associated with a particular used car, easy access to them and low price certainly adds significant peace of mind when buying one. While it is true that you will typically pay a higher interest rate on a loan for a used vehicle than you will on a loan for a new vehicle, historically low rates mean that many automakers can offer attractive financing options for their all of their vehicles. And paying a much lower price for a high quality used car will mean you'll pay the car off faster and pay less interest over the years. Or you could make a cash offer on your affordable used car to get a lower price overall and skip interest payments altogether! This could save you thousands of dollars immediately and over the next 2-5 years. Even if you’re not looking to move up to a premium brand and dealership experience, choosing a used vehicle opens a world of possibilities. Even if you’re not looking to move up to a premium brand and dealership experience, choosing a used vehicle opens a world of possibilities. You'll be able to afford higher end cars then you would normally expect, including typically out of reach German cars or sports cars. 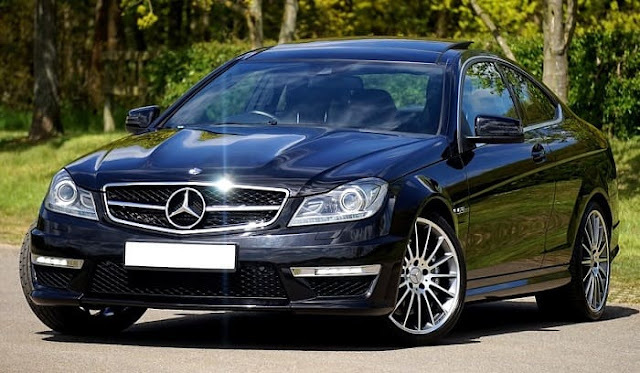 You could end up getting a slightly used Mercedes for less than a new Kia for example! Definitely for a lower price than a new mid-level car like a Nissan Juke. Do your research and the sky is the limit. Buying a used car can be slightly riskier than buying a new car, because you don’t know with 100-percent surety where that car has been and how it was treated, and there are no guarantees that significant problems won’t arise before you’ve got it paid off. What’s that old saying? You don’t get something for nothing? That’s true when you decide to save thousands by choosing a used rather than a new car. In exchange for a healthier bank account, you assume some risk, and perhaps lose a little peace-of-mind. The good news is that today’s vehicles are better than ever, vehicle history reports can reveal important details about a car’s past, and automakers today provide a much better chance that you’re getting the cream of the used car crop. Now turn your used car into a money making machine and get down to business! I hope you enjoyed this article about why it's a smart financial choice to shop for a used car instead of a new one. Interested in more articles about affordable transportation?